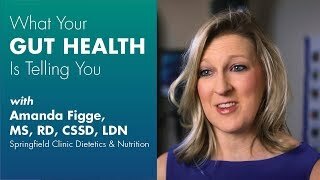 Amanda B. Figge, MS, RD, LDN, received her training in dietetics at Illinois State University in Normal, Ill. She offers comprehensive nutritional assessment, education and counseling with special interests in the areas of weight management, women's health, heart disease and diabetes. As a member of the Academy of Nutrition and Dietetics and Weight Management Dietetic Practice Group, she strives to keep up with current trends and emerging approaches in treating illnesses through proper food and nutrition. One area of particular interest is women's health. Her personal technique in helping patients improve their quality of life at any stage involves motivation, accountability, evidenced-based practice and positive guidance. Amanda's bachelor's in exercise science and master's in family and consumer sciences—nutrition and dietetics help develop an overall wellness approach to promote optimal health for her patients. Working alongside the patients' physicians, she educates individuals how to manage their disease through nutrition and healthy lifestyle choices. Her goal is to foster a positive environment to guide patients with research-based nutrition messages and practices.